Getting the high-quality dental care you and your family need is possible at Eastern Virginia Family & Cosmetic Dentistry. 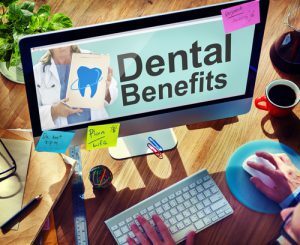 While we do accept many forms of dental insurance and are considered “in-network providers” for Dominion™ Dental, Principal®, Delta Dental®, and United Concordia® Dental, Maverest®, Careington®, Connection Dental Network (GEHA®), and DHA®—we also understand that not everyone has access to dental insurance. For those without dental insurance, we have developed our own in-house dental benefit plan that can make prices on routine treatments and cosmetic procedures more accessible. No waiting period for benefits to begin—coverage is accessible right away! No missing tooth clause—replacements for teeth extracted prior to the start of benefits can still be covered! If you are curious about our in-house dental benefit plan and would like to find out if it could be the right fit for your needs, we encourage you to contact our practice to speak with a friendly and knowledgeable member of our office team. For individuals who are interested in elective cosmetic procedures that are not covered by dental insurance, we also offer financing opportunities through trusted third-party lenders that can make paying for a new smile more budget friendly!